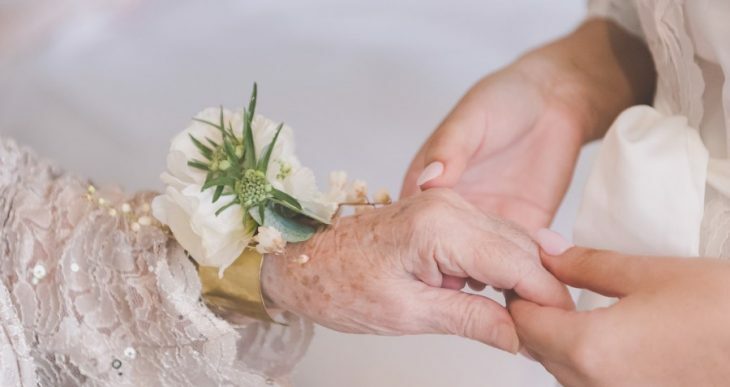 Weddings are a day steeped in traditions and there are many different historic elements that you can incorporate into your day. But often we don’t know where they come from! 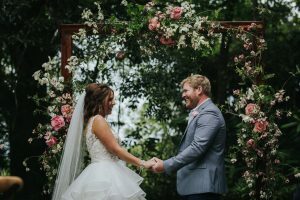 The “Easy Wedding” periodical has revealed some traditions and their reasons. When it comes to wearing something old the tradition actually dates back further. Traditionally, brides who wear old shoes are considered luckier! 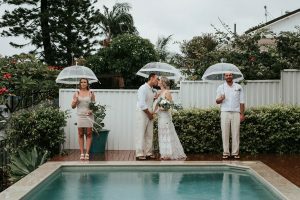 According to Hindu tradition, rain on your wedding day is considered lucky. 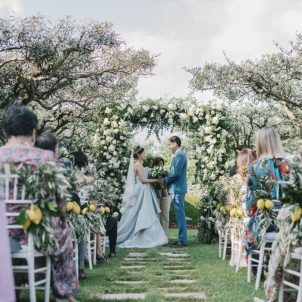 We often hear about people tying the knot when it comes to weddings, and this tradition harks back to that. In Hindu tradition, the couple is literally tied together in a knot to showcase the unity between their two families. 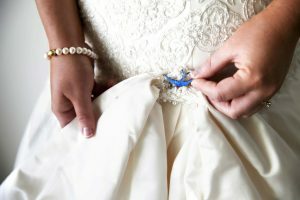 They believe that rain on your wedding day is lucky because a wet knot is harder to untie! This symbolises a strong marriage to come. Life in the 1500s was vastly different to our lives now. 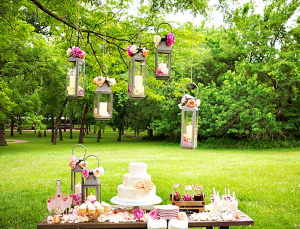 Back in the day, European weddings were mostly held in July, the first month of summer. This was by far the most popular month for couples to marry and the reason might surprise you! It’s not because of the weather, which many couples would take into consideration now. It’s because most people took their yearly bath in May. Which means that by June they were still smelling pretty good! The ring finger is the second from the outside on your left hand. Traditionally, this finger was chosen because it was believed to have a vein that went straight to the heart. In many traditions, men didn’t wear wedding rings. In fact, in Britain men didn’t start wearing wedding rings until the two World Wars. This was when married soldiers started wearing rings to remind them of their partners back at home. Traditionally brides wore a veil to help protect them from evil spirits who might want to ruin their happiness. A secondary reason to wear a veil was to reflect the purity of the bride so that she wouldn’t be seen by any other man on her wedding day until she reached her husband. 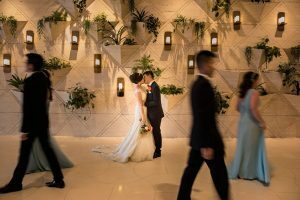 You may have heard guests at a wedding asking which side is the groom’s side and which is the brides, but you might not know why. This goes back to a Christian tradition where brides traditionally stood to the left of the groom. This is so that the groom could keep his right hand free for his sword so that he could fight off other suitors. 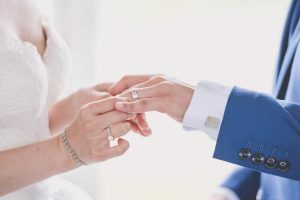 While the most popular day to get married nowadays is by far a Saturday, according to English tradition the best day to get married is actually a Wednesday! Mondays are considered the day for wealth and Tuesdays for health.